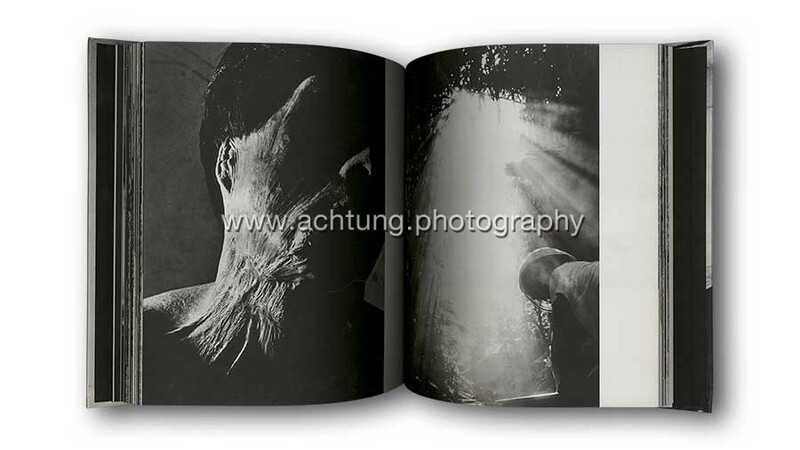 In 1961 Shōmei Tōmatsu 東松 照明 began to photographically document Nagasaki, just over fifteen years after the devastation of the Japanese port by US atomic bombing. 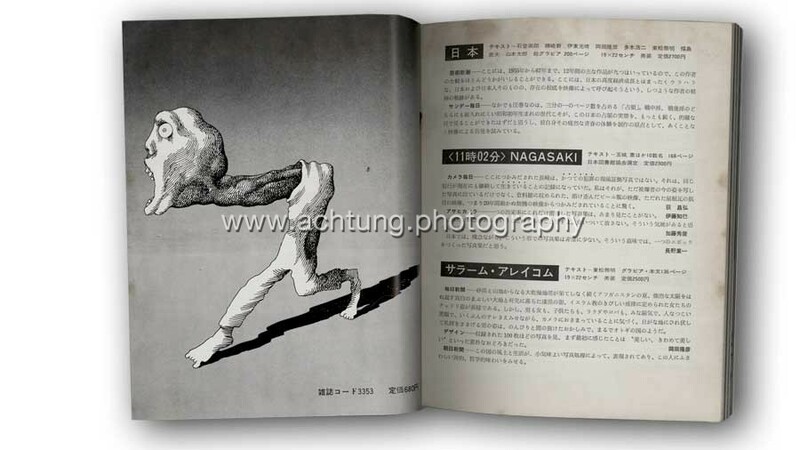 The photographs were published the same year (together with photographs by Ken Domon) in the book Hiroshima–Nagasaki Document. 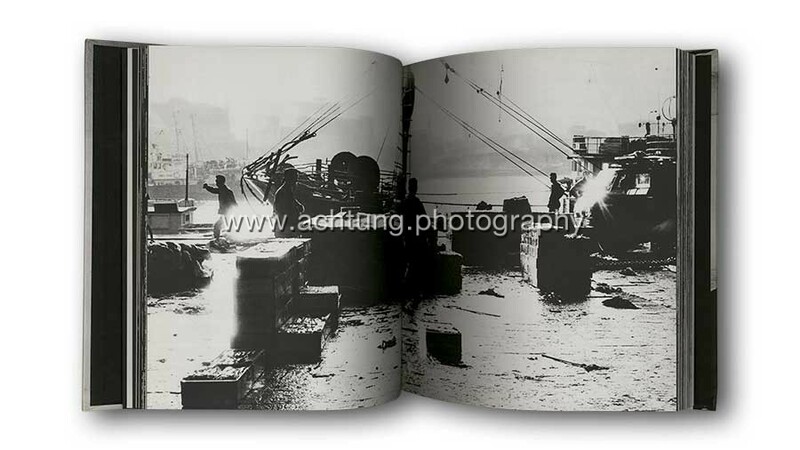 Tōmatsu continued to photograph Nagasaki and published these images in ＜11時02分＞ Nagasaki in 1966. 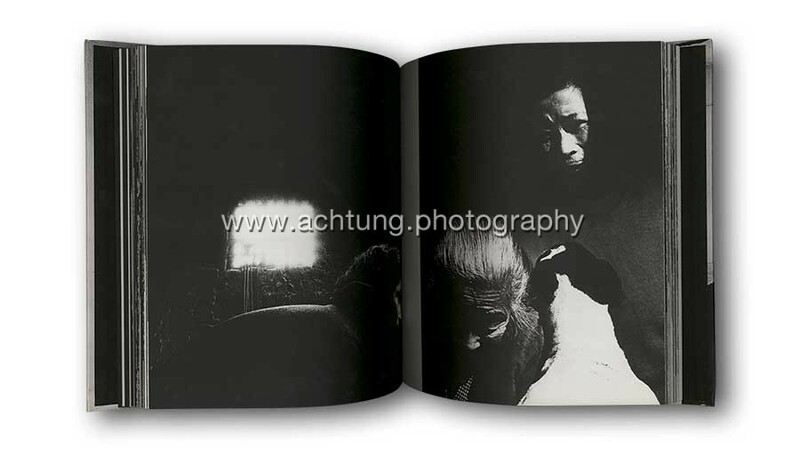 The photographs were accompanied by texts, and interviews with survivors, by Tamaki Motoi. 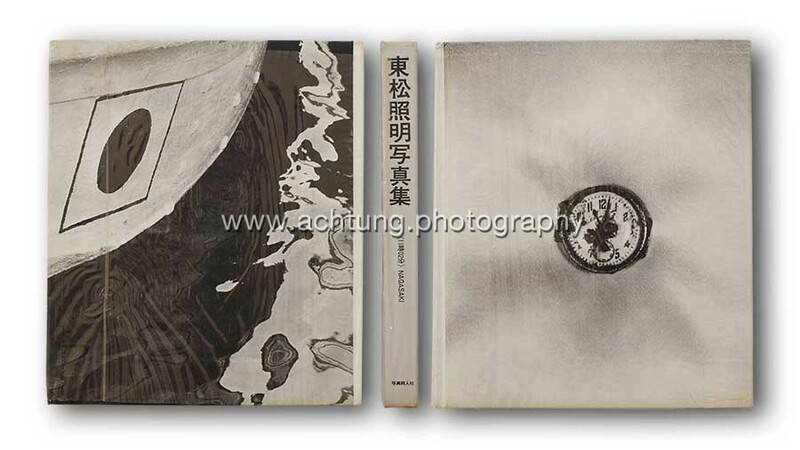 On turning the title page, the viewer is faced with what is possibly Tōmatsu’s most iconic image: a wrist watch stopped at 11:02am, the exact time the bomb hit. 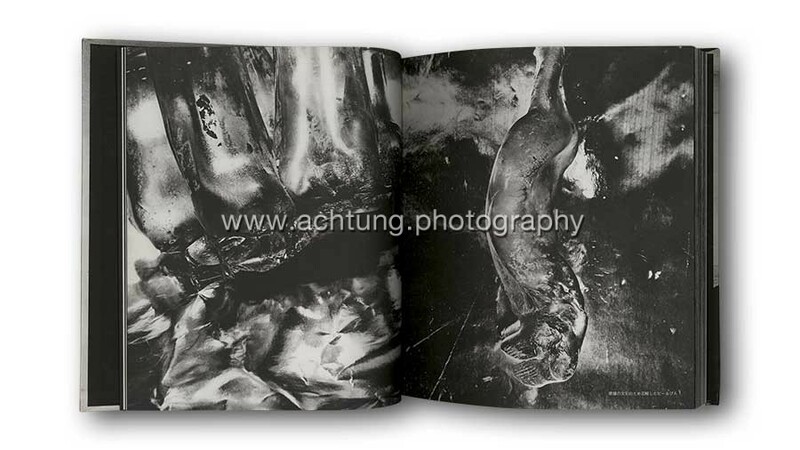 The book contains images of cityscapes, bomb victims, and various close-up photographs related to the gruesome events of August 1945. 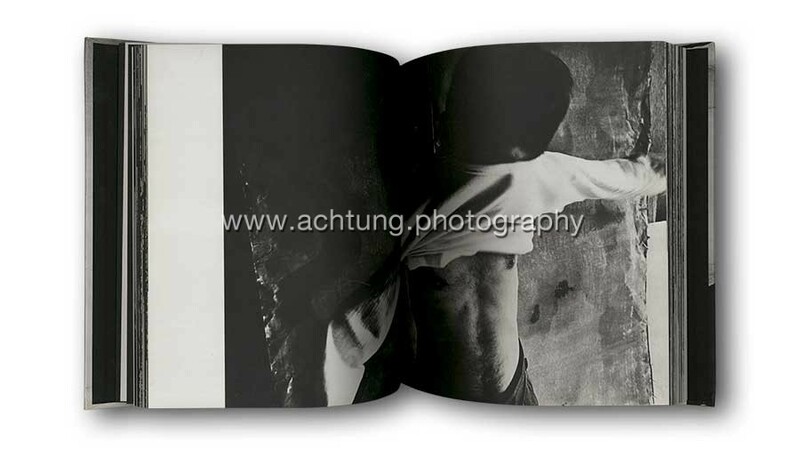 It is printed in sheet-fed gravure, which certainly adds something to the intensity of the images. The original 1966 version consisted of a hard cover book with brown publisher’s insert, with a thin plastic dust jacket housed in an illustrated cardboard slipcase. 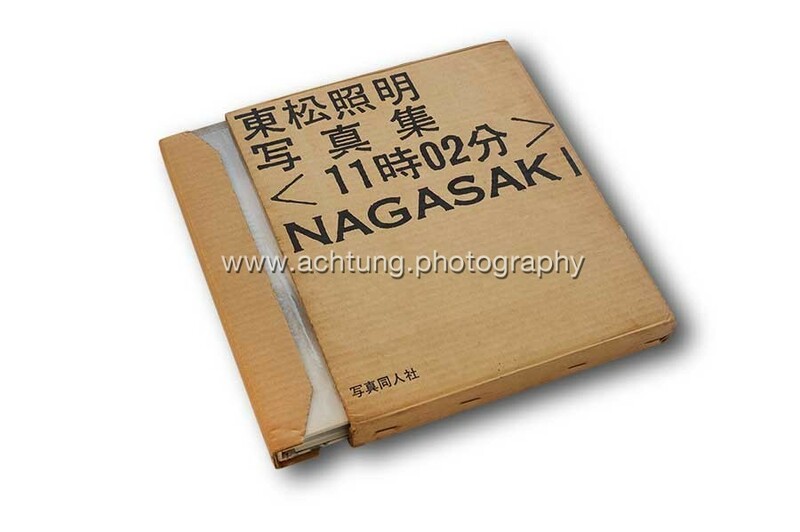 Tomatsu founded his own publishing company Shaken and modified the remaining copies of the first edition of ＜11時02分＞ Nagasaki, “re-publishing” them in 1968. It had a dark label applied to the spine of the book, and the copyright was changed. 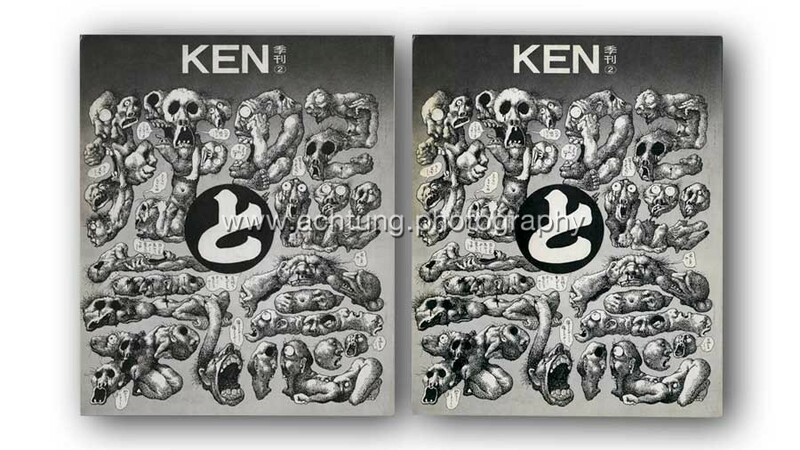 This “second” edition was sold with a thick plastic dust jacket, but without slipcase. 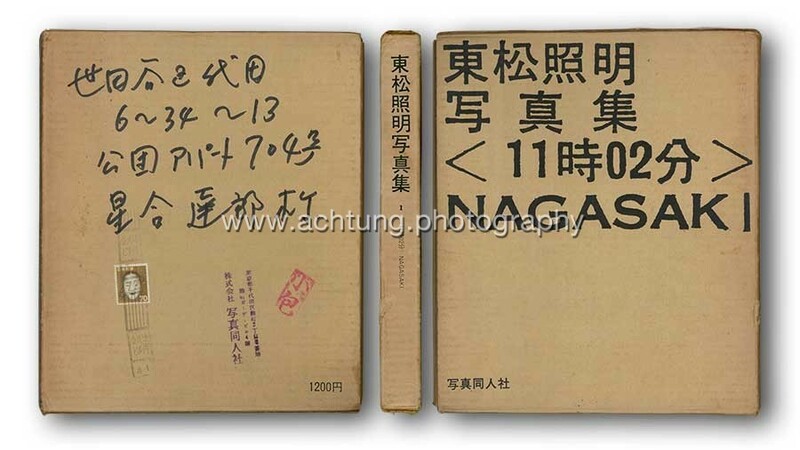 Several copies of the book were mailed directly from Tomatsu’s studio. The book’s own slipcase was used as shipping box. 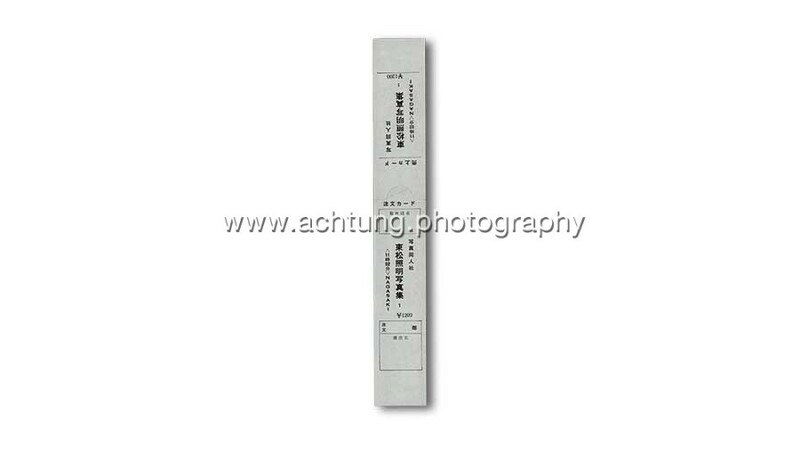 A folded card insert was used to seal the open side of the slip case (see photo above). 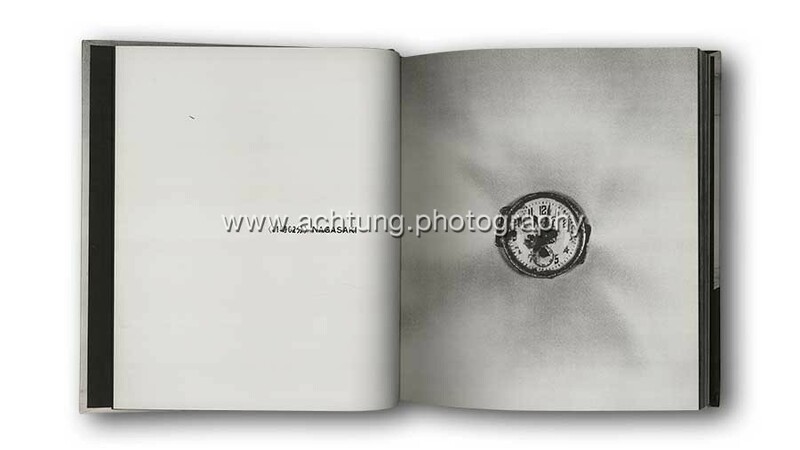 Postage stamps were stuck directly onto the slipcase, along with Tomatsu’s studio stamp. The recipient’s address was handwritten. 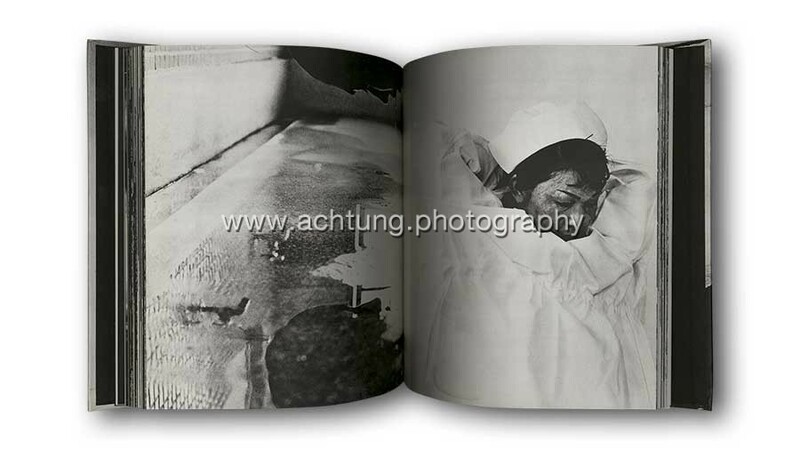 Tomatsu greatly influenced many Japanese photographers. He moved to Nagasaki in 1998 and died in Naha 那覇市 Naha-shi the capital of Okinawa in 2012. 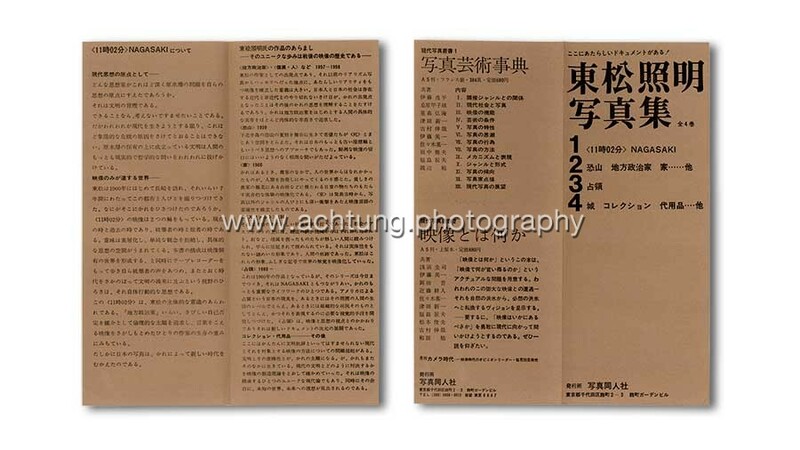 Advertising for Shōmei Tōmatsu’s (東松 照明) ＜11時02分＞ Nagasaki in the second issue of KEN magazine. 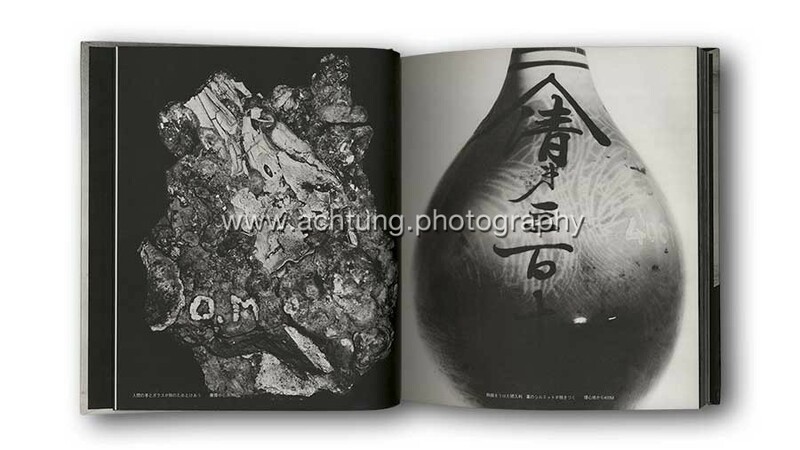 Photographs by ShomeiTomatsu (東松 照明), Naito Masatoshi (内藤正敏), Yoshimoto Hirofumi (伊豫本弘文), Daido Moriyama (森山大道), Takuma Nakahira, Nobuyoshi Araki (荒木経惟) and others.